Paperback, 8.25 x 11 in. / 96 pgs / 113 images. This title, published in 1979 and long since out of print, now appears as a reprint from Lars Müller Publishers. The original book was released in the series of publications Source Materials of the Contemporary Arts initiated by Kasper König and produced by the Press of the Nova Scotia College of Art and Design. 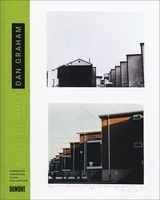 The publication represents an important document in Dan Graham’s artistic examination of the video medium. 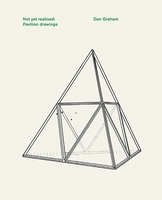 Graham’s installations and performances with video from the years 1970–78 are documented with numerous illustrations, photos, and brief descriptions. 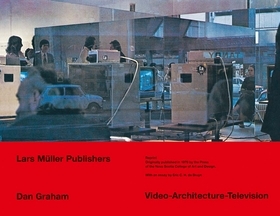 In addition, the volume contains an essay by the artist in which he examines the various possibilities and forms of representation offered by the video medium, and draws the boundaries between these and representational spaces in television, film, or architecture.The book also offers contributions by Michael Asher and Dara Birnbaum, as well as an annex with a biography and bibliography. Dan Graham, born in Urbana, Illinois, in 1942, is one of the most renowned contemporary artists. His work often focuses on cultural phenomena, incorporating materials as diverse as photography, video, performance, glass, and mirror structures. 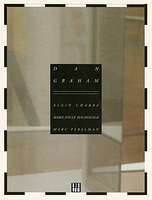 Dan Graham lives and works in New York. FORMAT: Pbk, 8.25 x 11 in. / 96 pgs / 113 images.